Port Macquarie, 호주의 포트 맥콰이어 백팩커스 | 호스텔월드에서 예약하세요. Don’t sit on the bus for 13 hours going to Byron bay, Stop at beautiful Port Macquarie! Port Macquarie Backpackers is the closest hostel to the bus stop so if you’re catching the night bus it’s a straight 600m walk to your bed! You can even see the hostel from the bus stop. Impossible to get lost and you don’t have to walk for miles in the middle of the night. With 24hr self-check-in, you can get a good night’s sleep before exploring Port Mac! Pay for your bed - the rest is free! Unlimited WiFi, free pancake breakfast, coffee tea & sugar, swimming pool, pool table, body boards and snorkel gear. Join the fun at our weekly movie night, trivia night and the Saturday pub crawl. All free for you – no hidden costs. There is no better place or value for money to enjoy Port Macquarie! 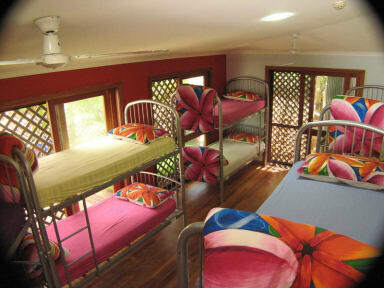 Port Macquarie Backpackers is the original and the most awarded hostel in town. 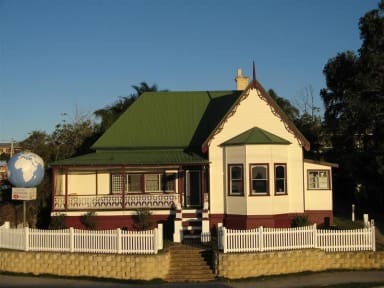 People say Port Macquarie Backpackers has a homey feeling and that's exactly what it is, a big home! It’s the oldest house in Port Macquarie and Elsinore (that's her name) has a beautiful feel about her as you walk though the big hallway, nothing like the usual sterile square box hostels you find elsewhere. Our extensive renovations in 2017 have brought her back to her old glory. Owned and operated by backpackers we have the friendliest staff on the east coast! With 9 beaches in town there is always a good chance to have a beach almost to yourself. We have some of the nicest coast line in Australia and there is lots to see and do or just relax and chill on the veranda or swing in a hammock by the pool. 24 Hr self check in. Provides you have booked for that night or the previous. If you’re arriving on the 5am bus and have not paid for the previous night you can’t access the hostel before 8,30 am as everybody is a sleep. You can come up to the hostel, there are comfy lounges on the veranda, you can watch the sunrise and there is a great coffee shop across the road. At 8:30 you are welcome to come in to enjoy our free pancake breakfast and the rest of the hostel.